How Smoking Is Linked To Hypertension | Breathing Happy: Breathe. Blog. Be well. Hypertension, also known as high blood pressure, (BP) is when the arteries have blood pressure which is in a continually elevated state. Every time the heart beats, it pushes blood through the whole body via the circulatory system., i.e. 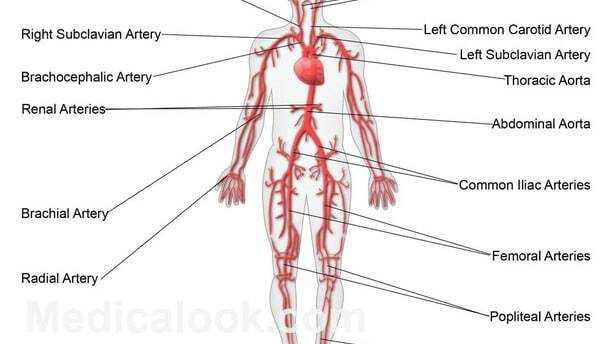 the veins and arteries. Blood pressure is the force of the blood pushed up against the artery walls and the higher the pressure, the harder the heart is forced to pump. Hypertension can result in damage to organs, besides serious conditions such as renal (kidney) failure, heart attack, stroke and aneurysm (a swelling or ballooning of the artery wall). There are a number of different causes of hypertension, including obesity, stress, lack of exercise, etc., but one of the major (and most preventable) causes is cigarette smoking. This harmful habit is a major cause of heart disease in any case, as we all know, and high blood pressure is directly related to this, as has been pointed out above. However ironically enough, it seems that although smoking causes hypertension, regular smokers may actually have lower blood pressure! Smoking doesn’t directly cause high blood pressure, but it puts you at much greater risk of a stroke and/or heart attack. Smoking narrows the arteries due to the build-up of fatty deposits in them as a result of the chemicals in the cigarettes. When the arteries are narrower, the heart has to pump the blood harder to go through them, and so the pressure will go up. According to research, it appears that smoking affects both the flowing properties of the blood and the way the artery walls behave. Although smoking increases the risk of vascular complications (for example, stroke and heart disease) in people who already have hypertension, it is not generally linked with an increase in the actual development of high BP. That being said, smoking a cigarette can repeatedly produce an instant, temporary rise in the blood pressure of several pressure units (hg). However regular smokers may actually have a lower blood pressure than non-smokers. The reason for this is that the nicotine in the cigarettes causes a reduction in appetite, which leads to weight loss. Consequently this lowers the blood pressure (since being overweight is another major cause of hypertension). However, the fact remains that smoking is harmful to the body in many ways and it acts in tandem with hypertension and dyslipidaemia (an abnormal amount of lipids, i.e. fats/cholesterol in the blood) to increase the risk of coronary heart disease (CHD). So smokers should make every effort to quit, even if it does result in their putting on a few pounds in weight. I hope you got something from this blog and your votes and comments are much appreciated.